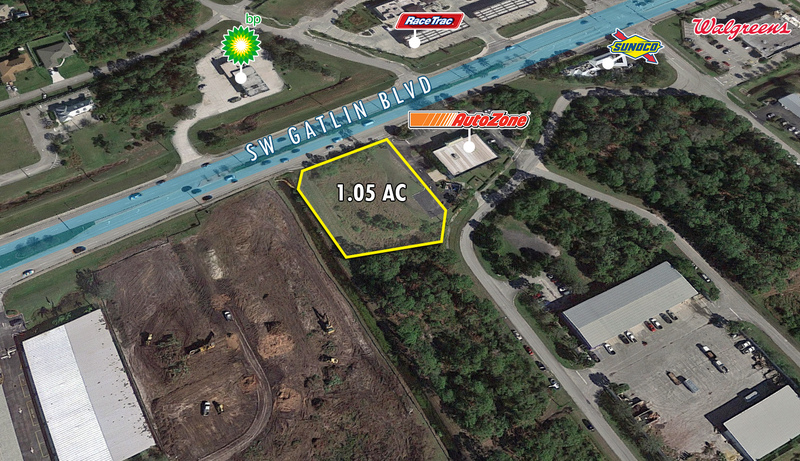 Exceptional 1.05 AC development land located within one of the fastest growing areas in Port St. Lucie. Site is easily accessible from I-95; would make a great location for a freestanding retail building or quick service restaurant. Property has a dedicated turning lane and has been established with City Water & Sewer. Trade area includes many National tenants such as Walmart, Sam’s Club, AutoZone, Walgreens, Home Depot, Target, and others.